Google Chrome, the web browser from the search engine giant, celebrated its first birthday this week. According to Matt Cutts, Google's head of webspam, Chrome now owns around three to four per cent of the global browser market. "That’s pretty good for 12 months," said Cutts on his official blog. "More importantly, Chrome has pushed all browsers to be faster, more modern, and generally better." 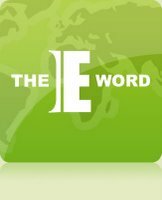 theEword looks forward to seeing what affect Chrome will have on the SEO and online marketing industry in its second year. A settlement between media service YouTube and the songwriters' group PRS for Music have reached an agreement which will allow UK users to view official music videos. These clips have been unavailable on YouTube since March due to financial disagreements between the two parties. The new deal will see YouTube pay an undisclosed fee to PRS in return for permission to play artist videos. A spokesperson for PRS told the BBC that the deal was necessary for song-writers and composers. "We have 60,000 song-writer and composer members and many of them don't earn very much money at all – 90 per cent of them earn less than £5,000 a year. The money we receive is really their living." You can find more about this story on theEword Manchester SEO News. Google apologised this week after a server error caused its mail service, Google Mail, to crash for 100 minutes on Tuesday 1st September. Users worldwide were unable to access their email after traffic levels overloaded several servers. The issue was thought to have been caused by an upgrade Google engineers were performing at the time. Writing on Google's official blog, Ben Treynor, VP engineering and site reliability czar, offered an unreserved apology. "I'd like to apologize to all of you — today's outage was a Big Deal, and we're treating it as such. We've already thoroughly investigated what happened, and we're currently compiling a list of things we intend to fix or improve as a result of the investigation." Research in the United States has discovered advertising on social network sites accounts for over 20 per cent of all US online display advertising impressions. Web firm comScore found MySpace and Facebook comprised 9.2 per cent and 8.2 per cent of online advertising respectively. MySpace obtained 30 billion impressions with 64 million unique visitors, while Facebook achieved 26.8 billion impressions from 767 million visitors. "Over the past few years, social networking has become one of the most popular online activities, accounting for a significant portion of the time Internet users spend online and the pages they consume," said Jeff Hackett, senior vice president at comScore. "Because the top social media sites can deliver high reach and frequency against target segments at a low cost, it appears that some advertisers are eager to use social networking sites as a new advertising delivery vehicle." Research from Hitwise UK has revealed that Facebook is the most popular social media portal in the United Kingdom. The survey, which looked at traffic levels over a 12 month period, also discovered that Twitter was the fourth most visited site, lagging behind YouTube and Bebo. The beleaguered social website MySpace recorded a fifth place position.